Last week was the start of the Lunar New Year! I was excited because it is the year of the pig, my zodiac, but it turns out your birth year zodiac is unlucky unless you wear red everyday. I found out about this superstition the day before the start of the new year, and decided I'm going all in for this superstition. I wore red pants on the first day then realized red isn't a common color in my wardrobe so decided to make a bracelet. 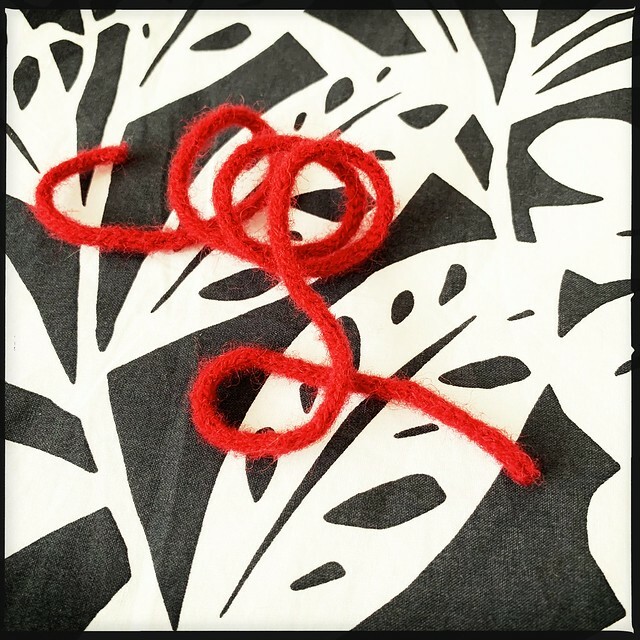 I ended up knitting a very long I cord with leftover red wool yarn from Scotland! Since the wool would eventually felt (because I'm not careful with hot water and my knits), I made sure the I cord was extra long and felted it. It is long enough to be worn as a necklace or headband and can be wrapped around two or more times to be worn as a bracelet or anklet. Very versatile, and very lucky.